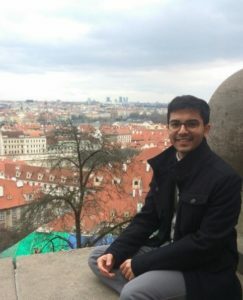 Born and raised in India, I have always been passionate about discovering the ways things work; my experience at different places opened my eyes to exciting themes in membrane science and technology. I worked on several projects and internships while doing my Bachelor of Chemical Engineering and Masters in Chemistry from BITS Pilani University in India. During my undergraduate study, I had a great opportunity to do my Bachelor’s thesis at Nanyang Technological University, Singapore and later at University of Duisburg-Essen, Germany. After my graduation in August 2017, I worked at the same place as a Research Assistant. I am looking forward to obtaining my PhD and contributing to the TRAIN-EV project where I can apply my technical experience and further my problem-solving skills. I love being able to discover things through research that nobody has done before. To me, a PhD is fun and rewarding; it provides an opportunity to sharpen one’s communication skills and also makes you responsible and independent researcher at the same time. Having said that, I think doing a PhD is like running a marathon that will test your patience and endurance, and the rewards at the end will give you a feeling of accomplishment and satisfaction. I love travelling and exploring different parts of the world; meeting new people and learning about different cultures. My hobbies would be fishing, watching TV & movies, reading, playing different sports, video games, karate, running and listening to music to pick a few.